Marketing to the millennial generation, or Generation Y, will become increasingly important for businesses. This group of consumers is highly influential (PR firm Edelman calls Gen Y alpha influencers) as they’re constantly sharing their feedback, engaging with brands through social media, and swaying purchase decisions of friends and families. For brands, this means that by winning over the millennial generation, they’ll be able to gain major brand advocates. An example of a company that has capitalized on Generation Y’s instinct to share is Nike. The sports apparel company released the Nike+ Running app this June, allowing users to track runs and share them on Facebook. This in turn has enabled Nike to interact with more consumers in a more personal, engaging way. Using digital marketing tactics such as content marketing or social media marketing is arguably the best way to interact with Canadian consumers today. According to the 2013 Canada Digital Future in Focus report, Canadians are spending over 41 hours per month online and are increasing their usage of social networks such as Facebook and Twitter. In addition, Canadians spent $22.3 billion in eCommerce last year alone. 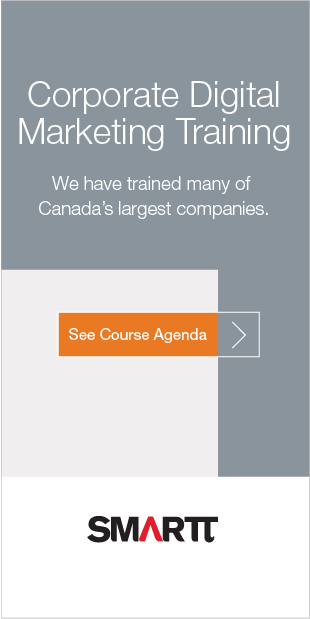 To learn how to effectively market to Canadian consumers using digital channels, check out one of our training courses for corporate marketing teams. If you want to assess your current digital marketing performance, ask one of our digital marketing experts to perform a Digital Marketing Audit today. Read the whole article at BC Business.